Any signs or indications which differs your products and services from others are your trademark. A company (or person) may obtain multiple trademarks. Well, have you registered at trademark of your company? 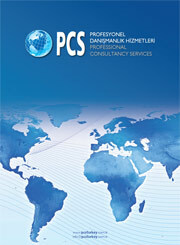 Trademark Registration transactions are monitored from İstanbul and from our offices as may be required. All Rights Reserved ©PCS ULUSLARARASI PROFESYONEL DANIŞMANLIK LTD.ŞTİ.